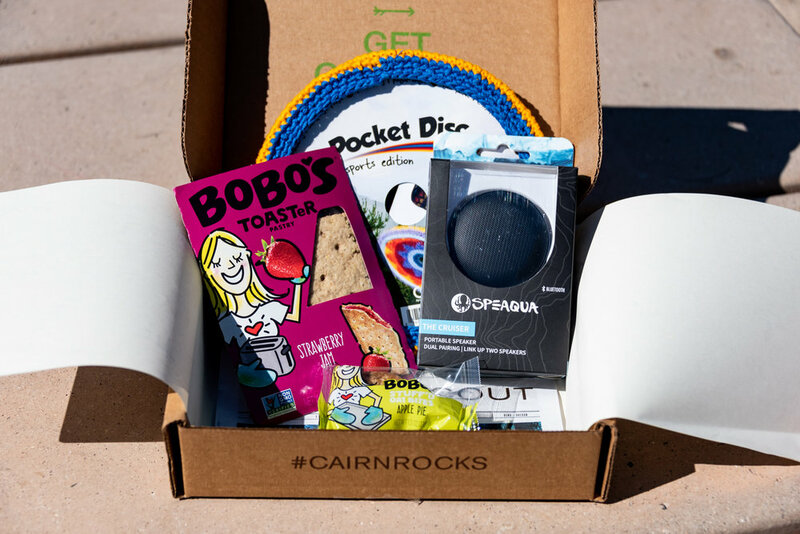 The March box came in a box, and it was packed with fun! We had a camping trip planned for the weekend, and the box landed in our mailbox just in time for the trip. We’ll be honest… but make sure you keep reading. 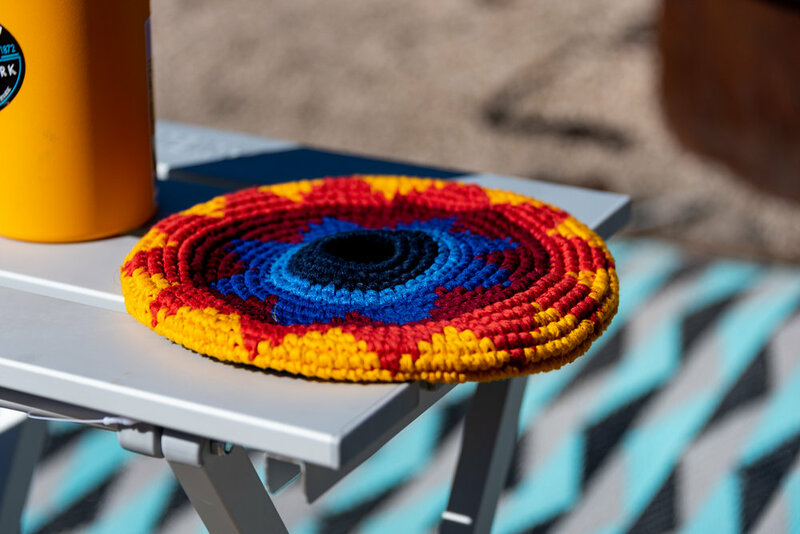 :) We opened the box and were basically wondering what the heck this knitted frisbee is about and why would we ever use it. It was very pretty, great colors and well made, but we couldn’t even remember the last time we saw a frisbee. 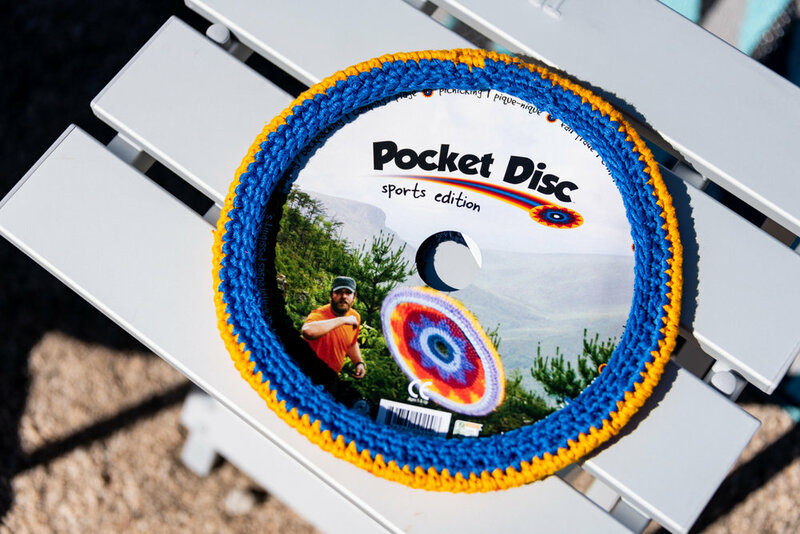 Apparently, we just needed the Pocket Disc to remind us. 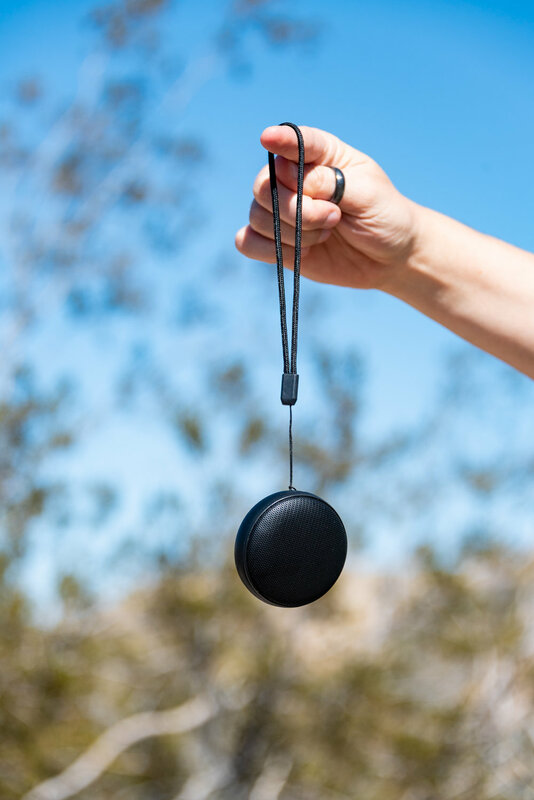 We LOVE this thing… it’s a soft and lightweight thing to toss in the car, and it can go anywhere. If we end up at a local park, we want to play. We park at a campsite, and we just couldn’t stop playing. It is SO much fun! This is probably one of the most random things we’ve gotten from Cairn, and yet, one of our favorites. We have had so much fun playing frisbee and tossing this little knitted disc around, even in the house. 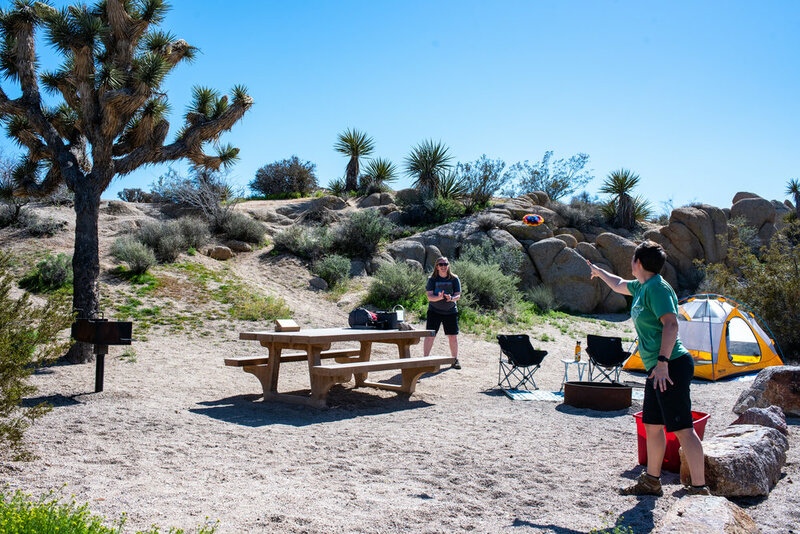 Better than just sitting around a campsite, we spent a bunch of time getting sunburned and making each other run all around to catch it. We have had a blast with this beautiful item! 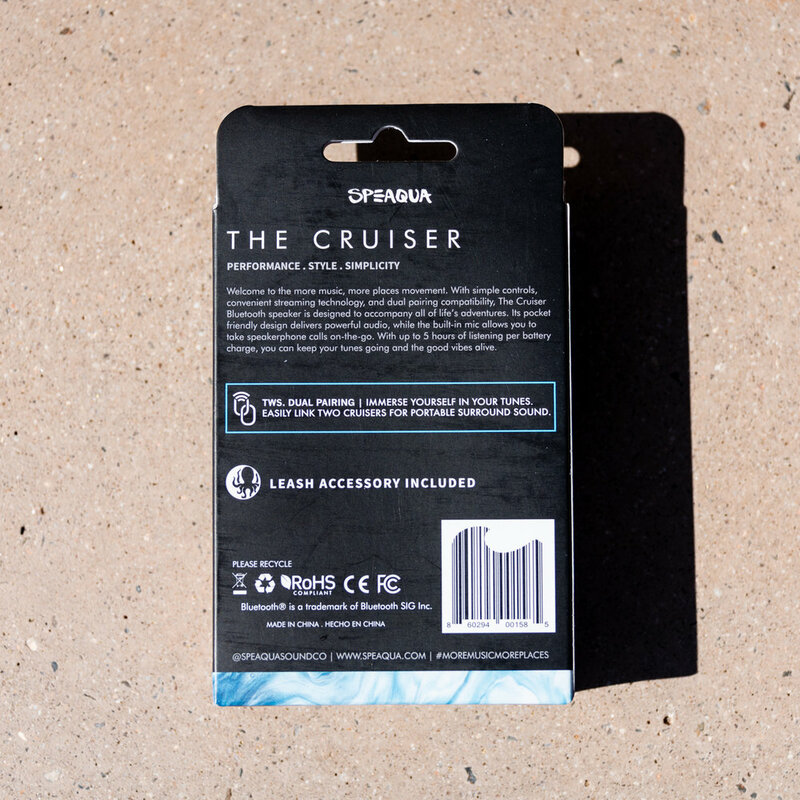 We are always happy to hear that a small company with a cool product is somehow helping others or doing something good for our environments. Pocket Disc is one of those companies, working with fair trade partners and many ways of giving back to the world. This is a little tiny bluetooth speaker that is so easy to pack along on a trip. The speaker features bluetooth connectivity, dual pairing, speakerphone access, and recharges quickly with a micro USB. It’s really small and easy to attach for an adventure. It was very easy to set up and connect, and plays for several hours without dying. Speakqua says 5 hours of playback time. 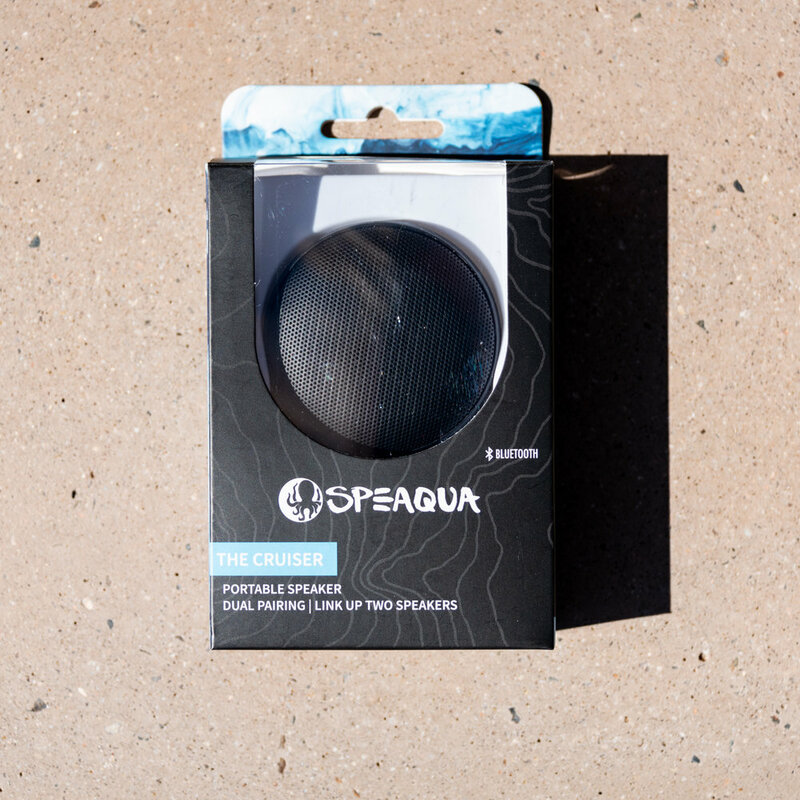 We like this little speaker, which is really easy to take along on a bike ride on a road bike trail or for inside the car when car camping. We try to enjoy the sounds of nature when camping and hiking, and really don’t like running into speakers on the trails, so we keep use to where it won’t bother others. The size makes it super easy to pack along on a trip, and it will go along on our next camper van adventure, for sure! These were delicious. Just like the original Bobo bars, they are great new items and we loved them. The Toaster Pastry was soft and filled with delicious fruit filling. These are great for a quick breakfast in the toaster, but to be honest, also great right out of the package on the trail! 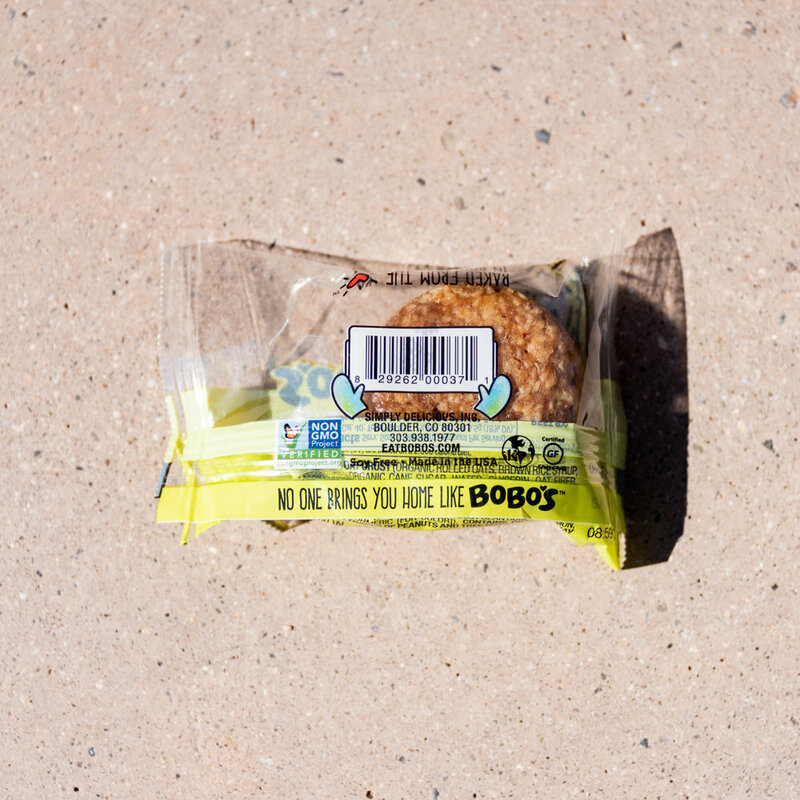 I enjoyed my pastry just right out of the package, out on a trail, and very much enjoyed the texture and flavor! The Oat Bite was so soft and tasty. 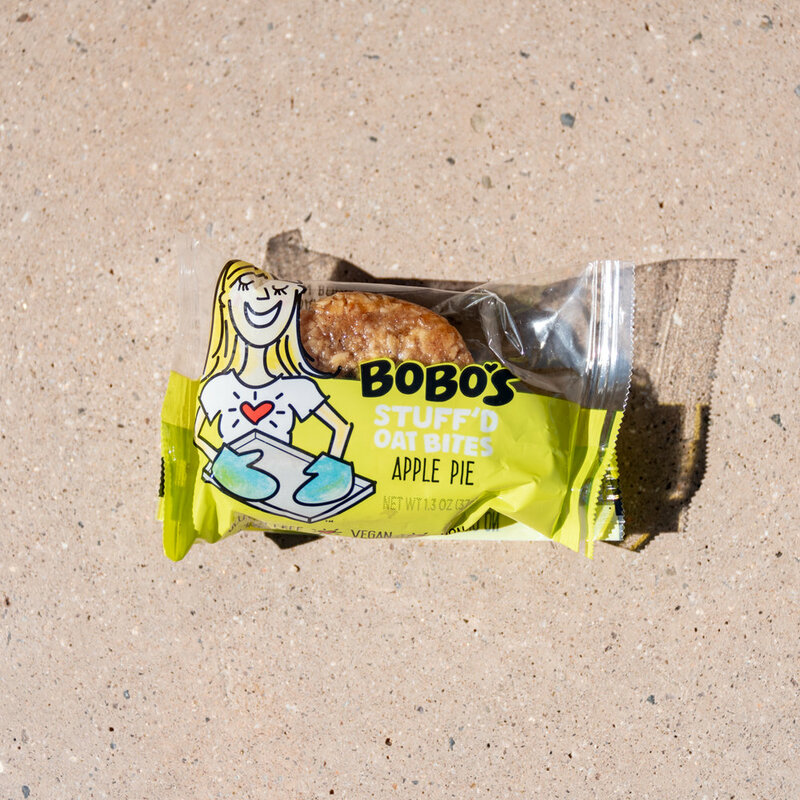 It’s a sticky oat ball, with an apple pie gooey center, and this treat just moved to top of Andrea’s favorites list. 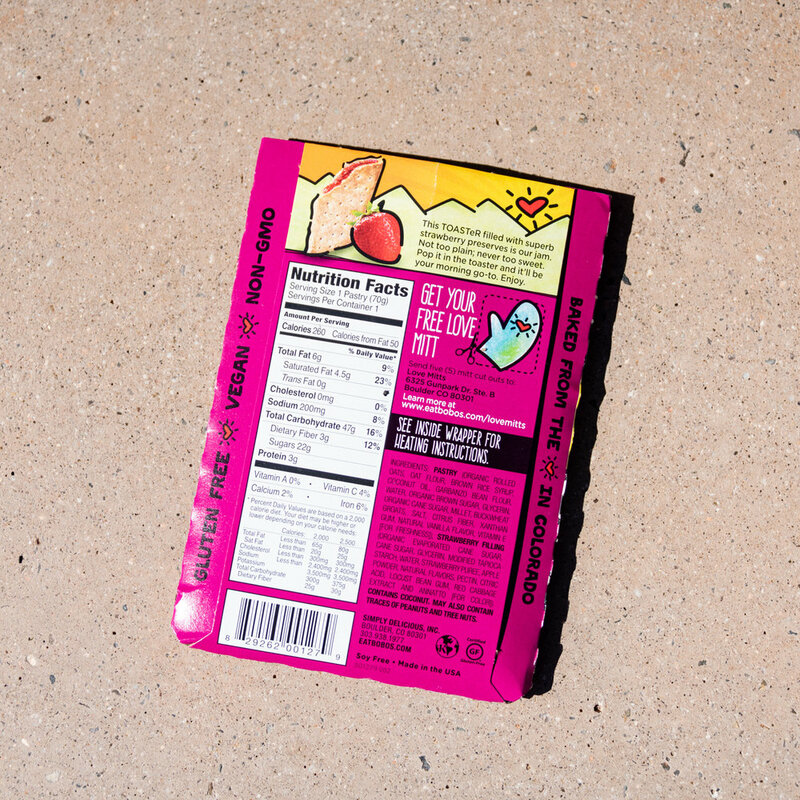 It’s a bite size little flavor bomb, and packs enough of an energy kick to come in real handy in our backpacks! We subscribe to the Monthly Collection, so we get a box every month with some great items. We have not subscribed to the Obsidian box, which is quarterly and comes with some amazing, much more pricey items. We’re always watching though, and the Obsidian will likely get out attention in the future. Here’s a little info, in case you’re interested in a bigger surprise box! We are regular, paying subscribers, and we love the stuff we get in a surprise box of goodies every month!